Many people want to quit smoking but find it difficult or even impossible because nicotine is highly addictive once you start. Being hypnotized is one thing you can try. Some swear by it. The point is making this method work for you so you can quit smoking and put yourself on the path of health. Almost all smokers have quit smoking at sometime in their life for days, weeks, months – or even years, only to start smoking again. In fact, 95% of the smokers who stop end up smoking again. So, there is a whole industry set up to help you stop smoking. 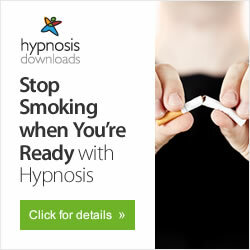 And, one technique that has been proven effective is hypnosis - as long as you combine hypnosis with a real desire to stop smoking. Is hypnosis something you have been interested in? Many have been able to change bad habits, such as smoking and overeating, with hypnosis. However, given what you have seen with recreational stage hypnosis, you might have some reservations about what will happen to you under hypnosis. For example, you might be concerned that you will be under control of someone, or that you might do embarrassing things. Almost all of us snack. In fact, 94% of us snack at least once per day. However, most of us want to lose weight, and that snacking is NOT helping our goal of losing weight. But, there are several ways you can reduce your snacking without starving. Is it better to quit smoking by hypnosis or by counseling? Research says both are the same.